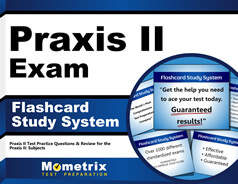 The Praxis II Physical Education: Content Knowledge Exam is used to assess a test taker’s understanding of the knowledge and skills essential for a career in physical education. Candidates usually take this test shortly after (or right before) completing their bachelor’s degree in physical education, exercise science, or a similar field. Dress comfortably and bring a light sweater or jacket that you can take on or off as necessary during the exam. Eat a nourishing breakfast before your test. Arrive at least 30 minutes before your appointment to check in. Avoid complications during check in by leaving prohibited items at home or in the car. This includes all electronics, bags, study materials, food, or beverages. Basically, just bring in your ID and leave everything else. If you require any special accommodations on test day for a disability or another issue, you should make these arrangements when you register. What Material Will Be Covered on the Test? Psychological and social factors that affect learning and performance. Accurately and fairly interpreting assessment results. Use of technology in communication, instruction, assessment, record keeping, etc. While the Praxis II Physical Education: Content Knowledge Exam is used in all states, the minimum score requirements are different depending on which state you will be teaching in. You’ll need to check with the state certifying board in the state where you plan to work to find out what score you need to pass. The score is transferable so if you aren’t yet sure which state you will be teaching in, find out the score requirements for all the states you are considering and then aim to achieve the highest score required. This way, you’ll be qualified to teach in any state you choose. 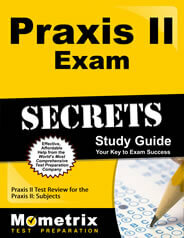 Do I Need to Study for the Praxis II Physical Education: Content Knowledge Exam? The short answer: definitely. Even if you feel confident in your understanding of all the concepts mentioned in the outline above, it’s still worth spending at least a couple of weeks reviewing everything to make sure you are not just familiar with the material but know it backwards and forwards. The best way to gain that level of mastery over the material is to use the Mometrix Study Guide and Mometrix Flashcards. These study aids have been crafted by a team of experts who know this material and know this exam. They’ve written easy to understand chapters that explain all of the core concepts you will need to know. Plus, they also come with proven test-taking strategies that you can use to get through all 120 questions, even when you encounter one that stumps you. The flashcards are especially useful for people on a tight schedule. If you don’t have a lot of time to spend studying, take the flashcards with you and squeeze in a few minutes of studying whenever you can. A few minutes here and there throughout the day will add up and ensure that the material stays fresh in your mind.